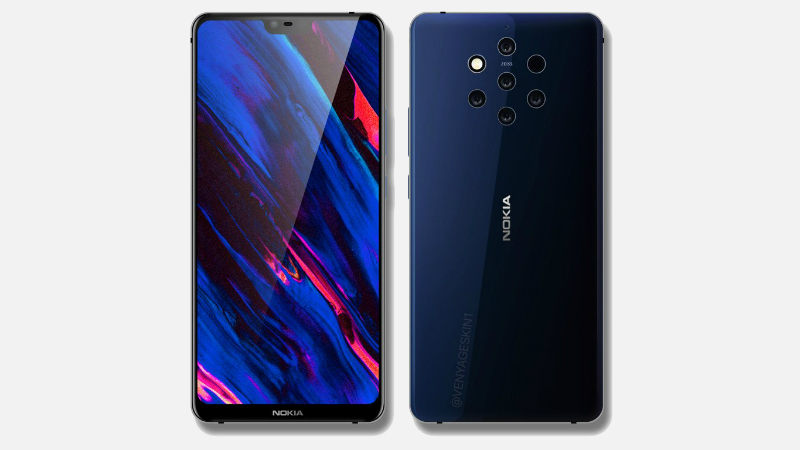 Nokia 9 has once again leaked in a live image that reveals its Penta-camera setup as well as a massive battery. The new live image of alleged Nokia 9 has been leaked by NokiaPowerUser that shows the back of the device. According to the new leak, the Nokia 9 will pack a 4,150mAh battery. NokiaPowerUser also claims that the Nokia 9 may be launched this month itself. The leaked image is sporting a Blue back and a Penta-lens rear camera setup which is in-line with some previous leaks. 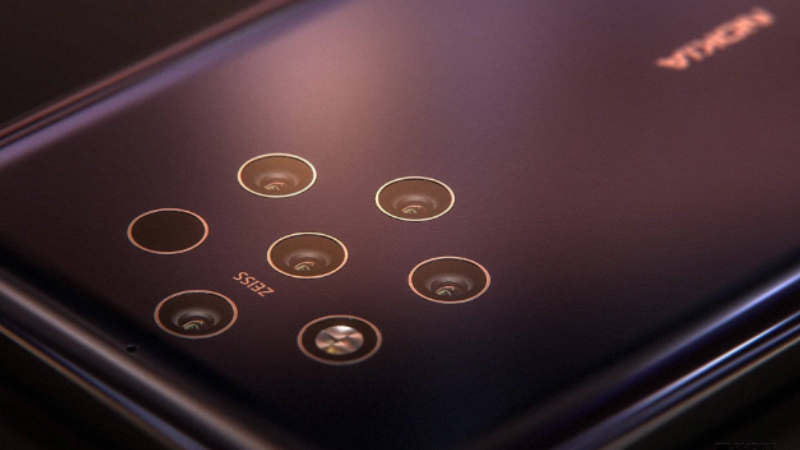 Previously, an alleged live image of the Nokia 9 has been leaked that gives us a look at the industry’s first Penta-lens camera set up. The image shows seven cutouts placed in the shape of a hexagon and among then five are Zeiss-branded camera sensors, one is a Xenon flash module, and the purpose of the 7th cutout is not known. If we talk about specifications, as per recent rumors, the Nokia 9 is expected to sport a 6.01-inch QHD display with a notch on top. It will be part of the Android One programme and run Android Pie. It is said to be powered by a Snapdragon 845 with up to 8GB RAM and up to 256GB inbuilt storage. Apart from that, the smartphone is rumored to sport a Penta-lens rear camera setup with one 41MP, one 20MP, and one 9.7MP sensor. It will have features like 4X optical zoom and Xenon/LED flash modules. The smartphone is also expected to come with an in-display fingerprint sensor as well. The Nokia 9 was previously rumored to be launched at IFA 2018 in Berlin. Moreover, there was no sign of it at the trade show, and there is not even any official confirmation from HMD Global on upcoming Nokia 9. We expect we should soon hear something official about the phone.